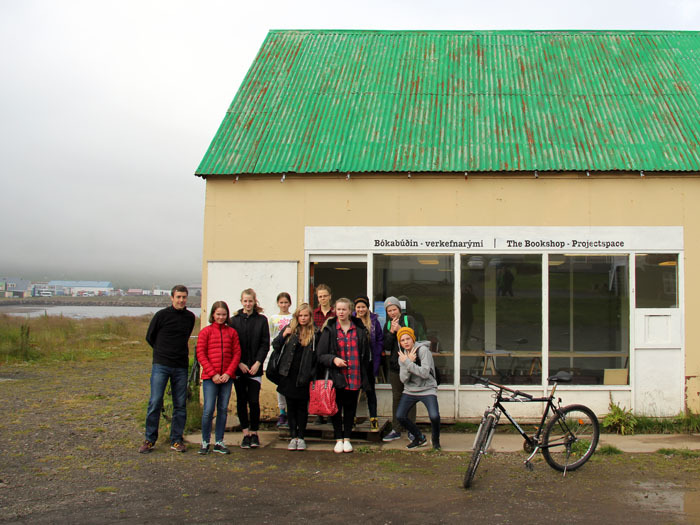 MicroResidency at the bookshop projectspace, developed during a workshop by Espacio Isandia in collaboration with artist and art teacher Þórunn Eymundardóttir and her students from 8th – 9th grade at Elementary school of Seyðisfjörður. Residence at Skaftfell Center for Visual Art. Seydisfjördur, Iceland. Monday 24th August 2015. 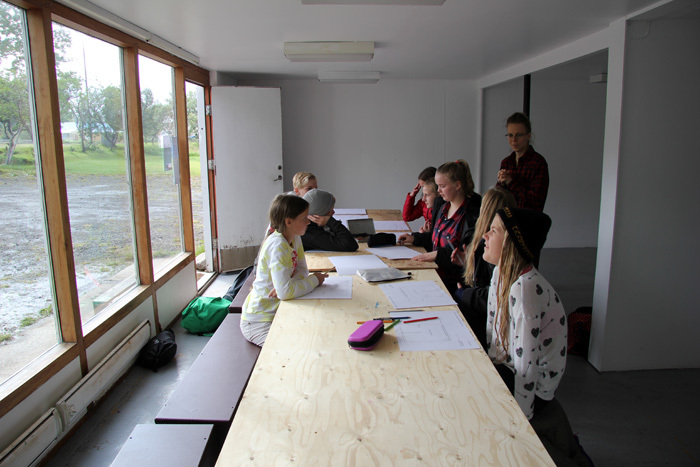 Espacio Islandia invites the students to dream up, draw (if possible) on a floor plan printed in A3 and finally explain their proposals for (at least) one microResidency at the bookshop project space of Skaftfell. It is beautiful to see how a seemingly uninterested group of teenagers can come up with so many different proposals, they always manage to surprise and a few of the proposals were really deep and personal, they also went deeper and deeper into the project as they went along and one idea bread another. The presentation of each idea was an important feature since talking about your work and answering questions about it makes it so much clearer for you and more real. It is so important for them to get the chance to propose the impossible.